How to Treat Different Types of Eating Disorders | Amy Boyers, Ph.D. When one thinks of an eating disorder, one generally thinks of a person who is obsessed with being thin and will do anything to be that way. In reality, this is a rather large category of disorders, some of which affect a person’s behavior with food only and others that also include an obsessive drive for thinness. So, it is important to differentiate between a Feeding Disorder and an Eating Disorder because they may superficially appear to be similar but they have very different causes and treatments. 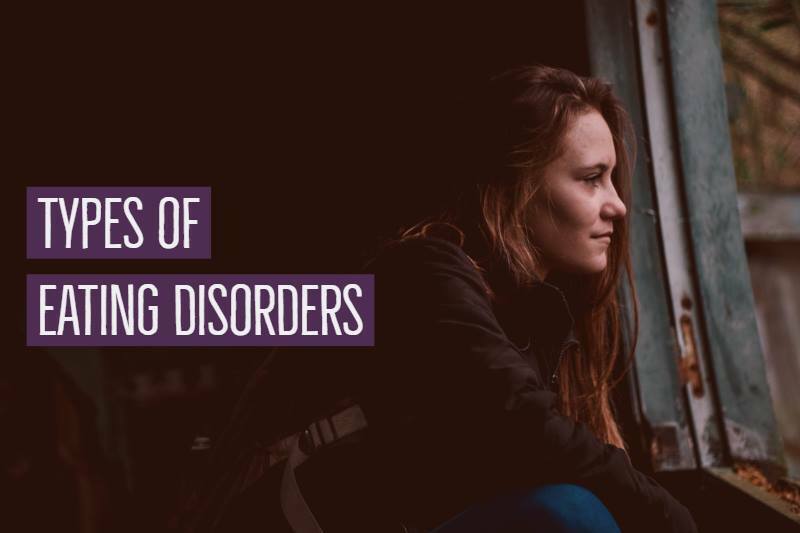 In this post, we will review different types of eating disorders and characterizations of each type. The first three (numbers 1 through 3) in the list above are feeding disorders. The last four (numbers 4 through 7) are eating disorders. Typically, feeding disorders start earlier in childhood than an eating disorder does. Firstly, what is Pica Eating Disorder? The word “Pica” is an Anglo-Latin word for magpie, in reference to the bird’s unusual eating habits of collecting and ingesting seemingly random items. This is an apt description of this particular eating disorder, both in the nature of the disorder and why loved ones looking in often find the disorder so troubling. This behavior lasts for at least a month and is severe enough to warrant clinical or medical attention. Person capable and willing to eat normal food outside of this behavior. Often seen in individuals with other psychological conditions or developmental disorders. Are you looking for Pica Treatment? Read our full guide here. Medical conditions such as GERD or pyloric stenosis are fully ruled out. May see the person deliberately restrict their intake in order to avoid engaging in this behavior when around others. May see weight loss or social impairments due to the disorder. Treatment often involves behavioral therapy with a focus on relaxation skills. Are you looking for Rumination Treatment? Read our full guide here. Often related to sensory issues, fear of a negative consequence such as choking or allergy, fear of new foods. Aversion to food causes severe weight loss, failure to grow properly and nutritional deficiency. Person is not avoiding these foods due to a fear of weight gain. It is due to a fear or aversion to the food itself. Person often demonstrates a phobic response to the food itself. May even see the person gag, vomit, or cry if forced to eat these foods. Generally, this disorder develops in early childhood. These children are often labelled “picky eaters” initially, but over time, their resistance to try new foods, or to incorporate foods to create a more balanced diet becomes a source of tension and conflict in the home. The range of foods these individuals eat is markedly different from their peers and can make socializing difficult due to lack of access to their preferred foods. Person repeatedly engages in behavior that interferes with weight gain, even though at an unusually low weight. The individual has a distorted sense of their own appearance and weight. Will often see themselves as much larger or more overweight than others do, even in the face of evidence that they are at too low of a weight. Often, individuals with anorexia begin to show medical complications related to starvation, such as loss of menses, loss of hair, changes in hair and nails, feeling cold, and feeling more tired. Individuals with anorexia will often develop an obsession with cooking and recipes, even though they will not eat these foods. They will often cook or bake for others but not allow themselves to eat the foods. Binge-eating/purging type: this is often confused with Bulimia Nervosa. In this type, individuals will binge or purge (or both) during a 3 month period. Of note, the binges in anorexia are often (but not always) smaller than the binges seen in Bulimia Nervosa. Are you looking for Anorexia Nervosa Treatment? Read our full guide here. Bulimia nervosa, often called bulimia, is an eating disorder characterized by episodes of binge eating, or consuming a large quantity of food in one sitting. This makes the individual feel as though they have no control over their eating behaviors, creating a deep fear of weight gain. As such, this typically leads to unsafe methods to try to lose weight, such as self-induced vomiting (purging), fasting, excessive use of laxatives or diuretics, and excessive exercise. A binge is when a person eats an unusually large amount of food (beyond what most people would consider typical or appropriate) in a relatively short amount of time (a couple of hours or so). Generally, individuals describe a feeling of loss of control over this behavior. Some people even go so far as to say that they feel “checked out” or “numb” when they engage in binge eating. After engaging in the binge eating, the individual does something to try to “rid” themselves of the food, such as self-induced vomiting, misusing laxatives, excessive exercise, fasting, or diuretics. Individuals with bulimia tend to hide their behaviors from others and the behaviors can go on in secret for many years. Like Anorexia, individuals struggling with Bulimia are preoccupied with their appearance and their weight. They often articulate a high drive for thinness even if their weight is normal. Individuals with Bulimia Nervosa are typically “normal weight” and therefore often go a long time without detection because there is a misconception that people with eating disorders are emaciated. This is not true. One can be at any weight and still have a pernicious eating disorder that causes great damage to one’s body and well-being. Individuals with Bulimia Nervosa will often use the fact that they are not severely underweight as rationalization for not getting treatment. They will tell themselves that it could not be “that serious” because they are not dangerously underweight, even though the behaviors are extremely risky and can lead to serious medical complications, including death. Are you looking for bulimia nervosa treatment? Read our full guide here. Many individuals with BED have a long history of dieting because they have also struggled with their weight and because our society and culture focuses weight as the problem, rather than the relationship with food as the problem. Dieting makes this condition worse because of the deprivation and caloric restriction associated with dieting. Often, individuals with BED recognize that they eat emotionally but feel unable to cope without food to soothe themselves. This disorder is marked by recurrent episodes of binge eating (as in Bulimia Nervosa). According to the DSM-V, the binge eating episodes must have 3 or more of the following criteria. Are you looking for Binge Eating Disorder Treatment? Read our full guide here. Eating Disorder NOS is a diagnostic category for those who present with symptoms found in these disorders but don’t quite meet criteria. These symptoms cause significant impairments in functioning and are readily viewed by the person, or others, as being disordered. Atypical Anorexia Nervosa-where the individual meets criteria behaviorally but may not be underweight. Bulimia Nervosa or Binge Eating Disorder that occurs less frequently for or for a shorter duration than is required to make the formal diagnosis. Purging disorder involves use of the compensatory behaviors found in BN but without the recurrent binge eating, in order to affect weight. Night Eating Syndrome-essentially binge eating but only late at night after awakening from a sleep. Bingeing at night, before bed, is typically considered BED. Late night eating, before going to sleep at night, is a very common pattern in BED and is often confused with this disorder. Do you find yourself relating to any of these different types of eating disorders? Eating disorder recovery can be a process that may be difficult to handle all on your own. Thankfully, you don’t have to. You can recover from the above types of eating disorders, don’t wait until your symptoms get worse.